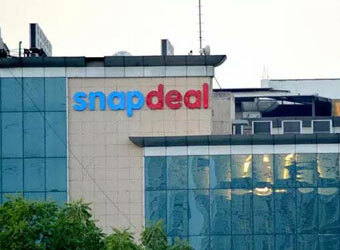 E-commerce firm Snapdeal, operated by Jasper Infotech Pvt. Ltd, plans to lay off almost 1,000 employees, which comprises 30% of its workforce, as it looks to reduce mounting losses, a financial daily reported on Saturday citing four people aware of the development. About 5,000 contract and 3,000 on-roll employees from Snapdeal's logistics subsidiary Vulcan Express will also be given the pink slip, a report by The Economic Times said. On our journey towards profitability, it is imperative that we continue to drive efficiency in our business, which enables us to pass on the value to our consumers and sellers. As in the past, and like all good companies do, we will continue to assess resource allocation in furtherance of our goals of enhancing customer and seller experience while driving high quality growth," a spokesperson from Snapdeal said in response to an email query from Techcircle. The lay offs come after the homegrown e-commerce firm witnessed several top-level exits in the past few days. Snapdeal's head of corporate development Abhishek Kumar quit the firm earlier this week. On Friday, the company's head of partnerships and strategic initiatives and one of its oldest employees Tony Navin left the company. In November last year, Vijay Ghadge, chief operating officer at Snapdeal's in-house logistics arm Vulcan Express quit the firm four months after joining. The exit followed a top-level restructuring at the e-commerce firm which led to consolidation in some of the company's key teams such as category management, market development, and brand alliances.